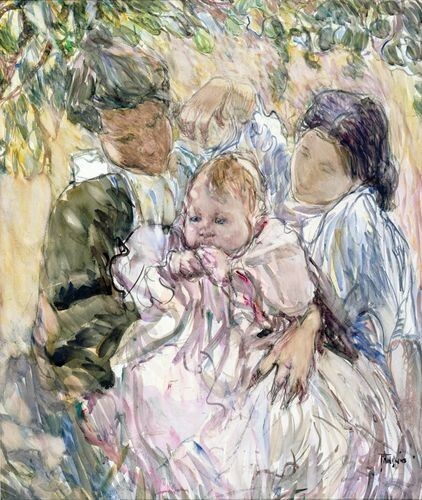 Frances Hodgkins is considered one of New Zealand's most prestigious and influential painters, an esteem not bestowed upon her during her lifetime due to her Post-Impressionist style not conforming to the traditional New Zealand landscapes of the time. Born in Dunedin, Hodgkins moved to Europe, and later England, in the early 1900s where she established herself as a painter, and enjoyed success. In 1908, Hodgkins became the first woman to be appointed instructor at the Academie Calarossi one of Paris' leading art schools. However the outbreak of World War l forced her to relocate to Cornwall, England, where she had more time to concentrate on her painting. 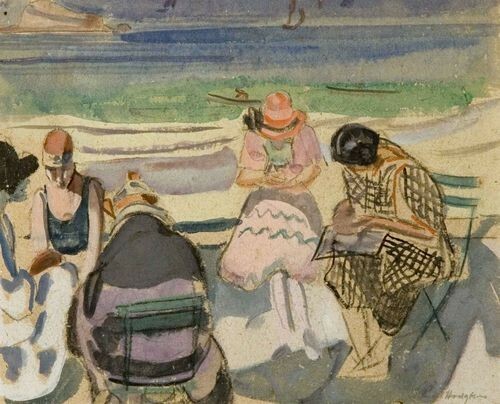 She referred to this period as her 'experimental years', and by 1927 she was able to finally give up teaching and become a full-time painter, exhibiting with many galleries throughout London. Toward the end of her years, Hodgkins finally gained the acclaim she deserved, and her works were highly sought after. 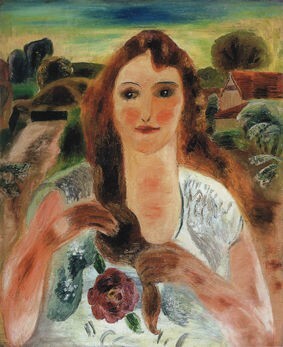 At the time of her death in 1947, aged 78, Hodgkins was regarded as one of Britain's leading artists.